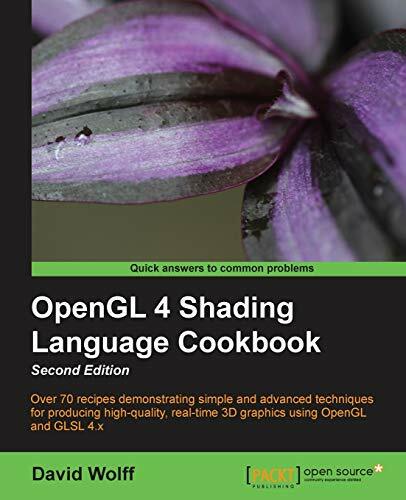 OpenGL Shading Language 4 Cookbook is a hands-on guide that gets straight to the point - actually creating graphics, instead of just theoretical learning. Each recipe is specifically tailored to satisfy your appetite for producing real-time 3-D graphics using the latest GLSL specification.This book is for OpenGL programmers looking to use the modern features of GLSL 4 to create real-time, three-dimensional graphics. Familiarity with OpenGL programming, along with the typical 3D coordinate systems, projections, and transformations is assumed. It can also be useful for experienced GLSL programmers who are looking to implement the techniques that are presented here. David Wolff is an associate professor in the Computer Science and Computer Engineering Department at Pacific Lutheran University (PLU). He received a PhD in Physics and an MS in Computer Science from Oregon State University. He has been teaching computer graphics to undergraduates at PLU for over 10 years, using OpenGL.